Growing up, I worked on my own cars to save money. I liked doing it and was good at it. I didn’t grow up with boats. I lived for 32 years in Utah; we had a couple of lakes, but no bays or oceans. I didn’t know anything about boats beyond the little bit of engine work I had done on cars. While visiting my sister in Rhode Island, I learned there is a high demand for marine techs. I drove by MTTI in Seekonk and then viewed the website; I saw they offered a Marine Service Technician program. Back in Utah, I called—MTTI sent an application packet, which I completed and returned. On my next visit, during summer 2017, I interviewed and enrolled. I was surprised to find how much there is to learn about marine mechanics. The engine work—which is what I knew as I entered the program--is only a small percentage of what you do. 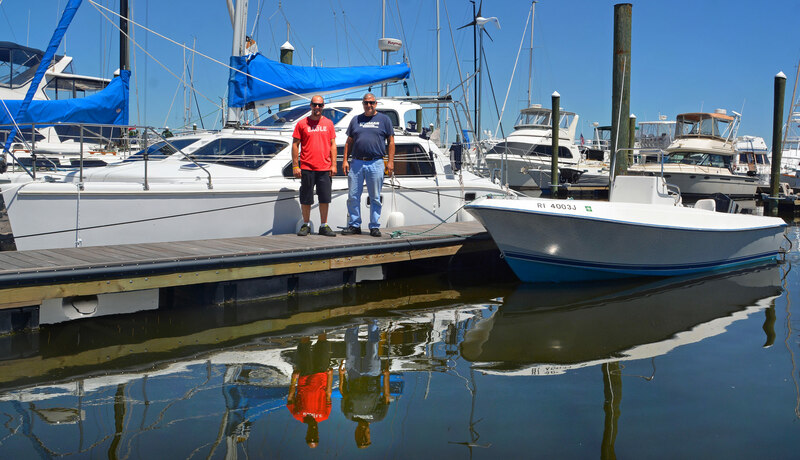 There’s a lot to marine systems—a boat is like a house on water. There’s the A/C, the head, freshwater plumbing, electrical systems. 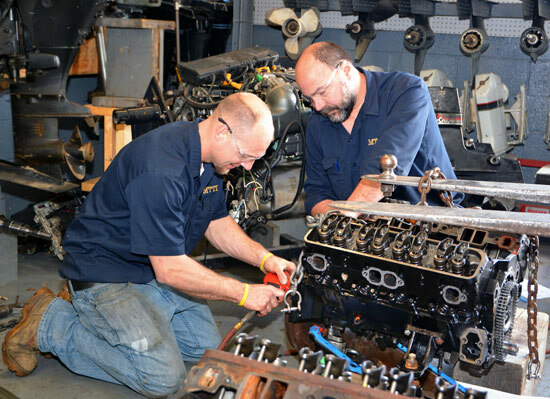 We were introduced to diesel engines at MTTI—they’re not complicated, so learning more about them on the job was easy enough. Learning marine mechanics came pretty naturally to me. My grades were high; half-way through the course, I knew I would do fine. The school environment was relaxed. We had a good class. We all got along, which made it comfortable and easy to work together. The shop had all of the specialty tools we needed. It was organized well, so that when we needed to do something, we knew where to find the right tools. 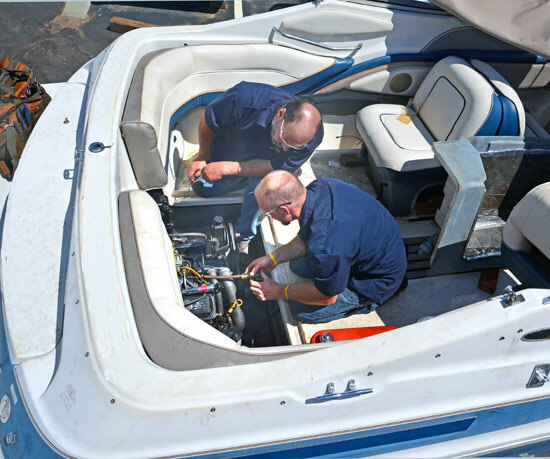 We had outboards to work on, and could bring in and work on our own boats. People sometimes contacted my instructor, Don, or the school owner, Ward, to request maintenance and repairs. We would work on their boats, too. Ward is a very knowledgeable man. He broke down how 2-strokes work to help us understand the theory. 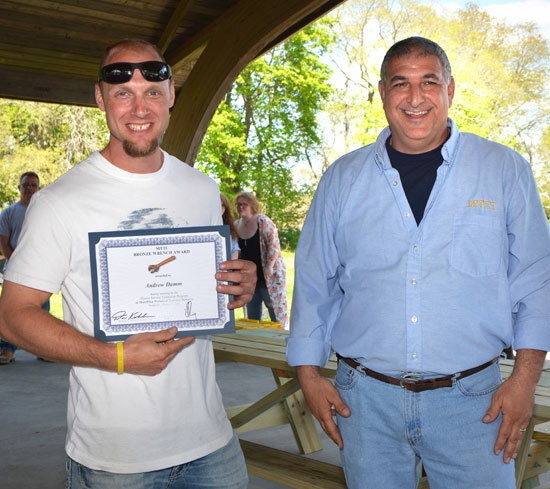 He knows all about precision measuring and how to machine and bore marine components. We could ask any questions and he would answer. Don was a great teacher. The MTTI staff was also great. Rick Shaw did a lot to help us with resumes, find internships and search for jobs. He pushed us. He was sometimes a pain in the rear—but for good reason. I like that guy! School gives a good foundation to prepare for an actual marine job. The environment in school is more controlled than out at a work place. At school we work in a shop on benches and not so much in boats, which makes it a lot easier to work on the motors. Out in the work field the spaces are a lot tighter and harder to reach. Working on boats is different every day. I’ve always done physical labor production, in which you earn money according to a piece rate bonus. The faster you go, the more pieces you pull—the more money you get paid. It’s repetitive—doing the same thing over and over. I prefer to be thinking about problems and finding solutions—then working hands-on to fix what isn’t working. I interned at Point Judith Marina and at Oceanus Marine Group. 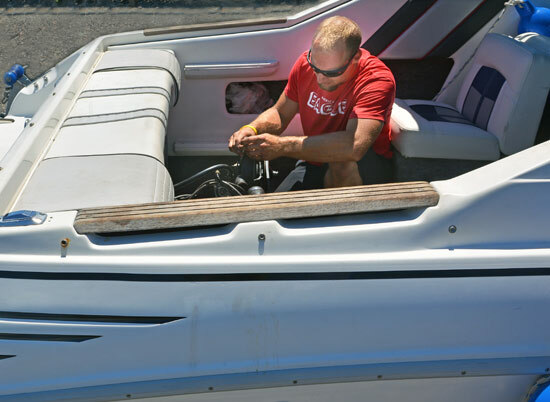 I was nervous at first about working on expensive boats—you can’t get them dirty or mess them up. At Oceanus, I followed Don’s son and asked a lot of questions. We were working hands-on with freshwater (plumbing) systems, and then with a transom assembly and drive that we had learned about at school. I began to feel more confident that what we had learned in the program transferred to working on the job. Part of my success as a Marine Tech is that I am self-motivated. I open the door to Oceanus in the morning, go out and start working. Even if it is hard, I need to do the work the right way. Don might not know if I didn’t do it right—but I will know—and the customer might recognize that down the road. Moving east from Utah was much more than a change of job and geography. Just as the New England water and weather is the opposite of the hot, dry climate in Utah, I am now 180 degrees different than when I was young and responsible only for myself. For the last three years I have been caring for my daughter as a single dad. My daughter inspired me to go to school. I want her to see that, no matter what, you can change your life. As long as you are willing to put in the work, you can do it. No matter what your past was—you can always change your future. Don’t look back—go 100% forward—give it your all. When you change jobs, you have to start at the bottom. As you work up, you earn more. If I was back in Utah I might be making a little more money but I wouldn’t be as happy. There are always jobs in the marine industry. I will be able to give my daughter a better life. I’m not ‘book smart’—I’m ‘hands-on smart’. Going to MTTI was the right decision for me. I have no regrets—it was the best decision I made. It isn’t easy to be starting over in my 30’s—moving across the country and raising a daughter on my own. I believe being a Marine Technician is what I'm meant to do. 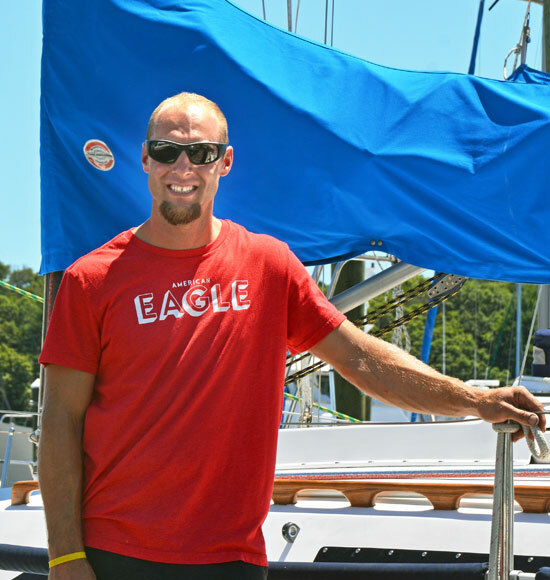 Going to school helped me learn marine technology quickly and go to work—and I enjoy it.